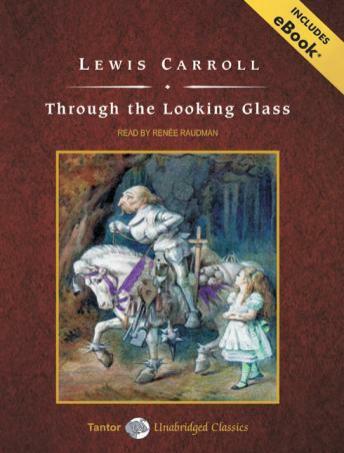 When Through the Looking Glass was published in 1871, audiences were as delighted with the book as they were with Lewis Carroll's first masterpiece, Alice's Adventures in Wonderland. Alice, now slightly older, walks through a mirror into the Looking-Glass House and immediately becomes involved in a strange game of chess. Soon, she is exploring the rest of the house, meeting a sequence of characters now familiar to most: Tweedledum and Tweedledee, the Red Queen, Humpty Dumpty, and the Walrus, just to name a few. The popular and linguistically playful poem 'Jabberwocky' is also featured in Through the Looking Glass.